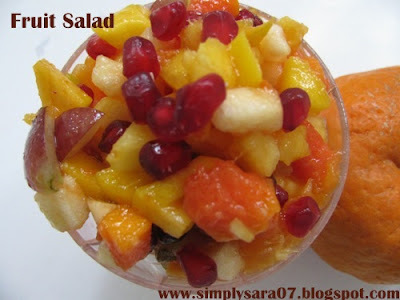 looks so nice and delicious..i love fruit salad! !..looks so colorful! Looks too colorful..My favou too..
Looks so pretty and colourful.Mouth watering!! The best dessert one could have...looks very beautiful ! Best salad, just love this.. Healthy salad and looks colourful!! 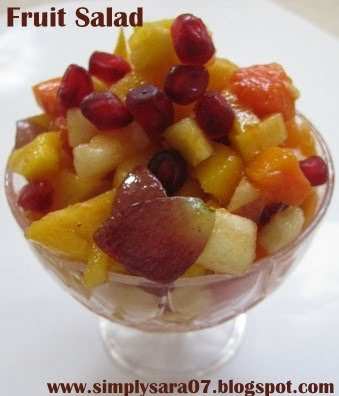 all time favorite dessert..colorful and loved by all..looks so nice and comforting..
Yummy and healthy , i have an award waiting for you, pls visit my blog and collect it. Oh with summer coming up this will be the first thing that will come in mind!!! Very colorful!! !